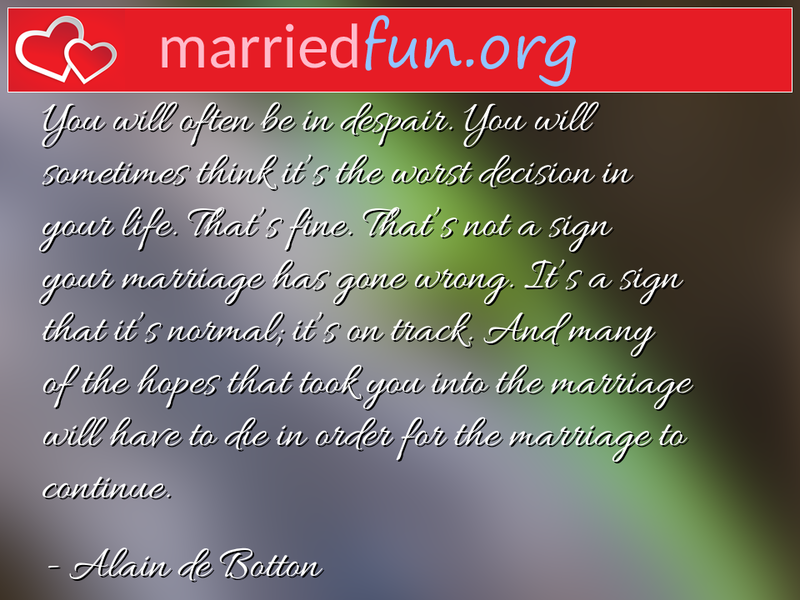 Marriage Quote - You will often be in despair. You will sometimes think it's ... - Married Fun! You will often be in despair. You will sometimes think it's the worst decision in your life. That's fine. That's not a sign your marriage has gone wrong. It's a sign that it's normal; it's on track. And many of the hopes that took you into the marriage will have to die in order for the marriage to continue.